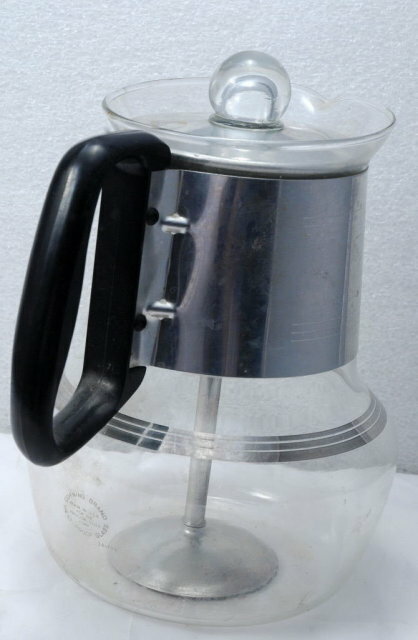 Silex 6-8 cup Glass Coffee Percolator. 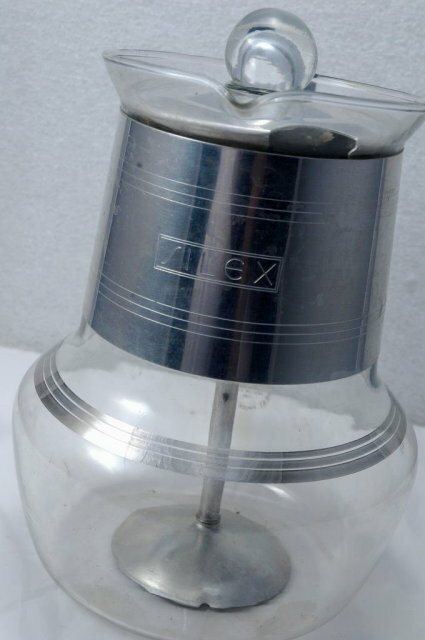 Features an aluminum neck and aluminum lid with a glass dome. What is really cool about these glass knobs is that the coffee comes up the stem and bubbles in the the dome. I was always fascinated by this as child. The condition is great and free of damage. All the parts are there. 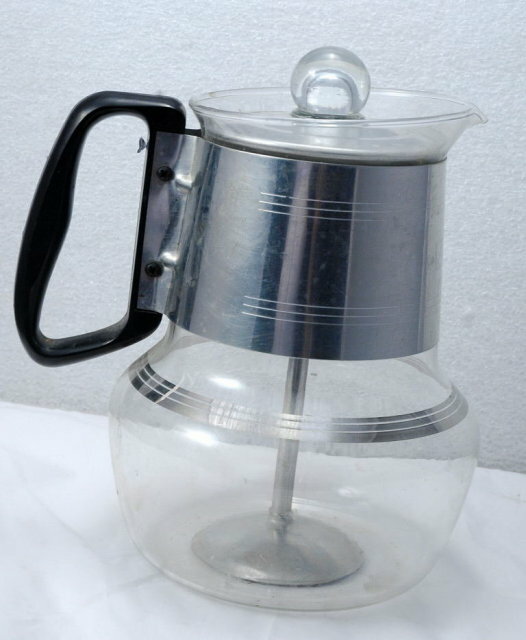 Items Similar To "Silex 6-8 cup Glass Coffee Pot Percolator Mid Century Modern"
Stylish Perculator pot for wood stove.